A well-known charity association, HABITAT & HUMANSIME RHONE was set up in Lyon in 1986 by Bernard DEVERT to provide accommodation for deprived people. Since 2014, HC RESOURCES has been supporting HABITAT & HUMANSIME RHONE ( https://www.habitat-humanisme.org/associations/habitat-humanisme-rhone/ ) by recruiting permanent staff. Since 2016, HC RESOURCES consultants have been leading monthly workshops to help residents find work. FRANCE LYPHOME ESPOIR (www.francelymphomeespoir.fr) is an association made mainly by patients, for patients. The main idea is to prevent the 14,000 people diagnosed with a lymphoma each year in France from feeling alone, distraught and destitute when dealing with this illness. As well as providing information and education for patients and their loved ones, the association works closely with the scientific community to make patients’ voices heard, for example by checking informed consents for clinical trials. FRANCE LYMPHOME ESPOIR also tries, at its own level, to participate in the fight against lymphomas by offering research grants. Set up in 2006, the association now has more than 1000 members. It relies on a network of volunteers, which is gradually spreading out to cover the whole of France. It is managed by an Executive Board made up of about ten members. The EMERGENCES foundation ( https://www.fondation-emergences.fr/ ) is a community of businesses committed to skills-based sponsorship. Supported by social entrepreneurs, the foundation encourages new projects that create a social connection and jobs. For this reason, HC RESOURCES sponsors LES PETITES CANTINES (www.lespetitescantines.org) set up by Diane DUPRE LA TOUR and Etienne THOUVENOT. This project aims to introduce small and friendly local canteens to create social links and therefore combat loneliness: people come to help prepare meals, eat or for the social aspect. People pay what they can for the meal. 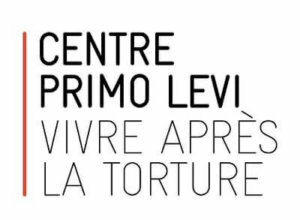 Set up in 1995, the PRIMO LEVI CENTRE (www.primolevi.org) is a well-known charitable organisation, which protects and supports the rights of male and female refugees in France, who have been victims of political violence in their own countries. We are well aware of the sensitive role played by Human Resources Consultants. HC RESOURCES is therefore committed to respecting others. The DOMINO GROUP, an HC RESOURCES shareholder, has been a member of GLOBAL COMPACT since 2013. This charter is a United Nations initiative to encourage businesses worldwide to adopt a socially responsible attitude by committing to aligning their operations with and promoting several principles relating to human rights, labour, environment and anti-corruption. The DOMINO group’s approach to Global Compact is entirely voluntary and relies on its own set of initiatives. Our participation in Global Compact allows us to follow a line of conduct with the aim of maintaining transparency when it comes to our clients and employees.